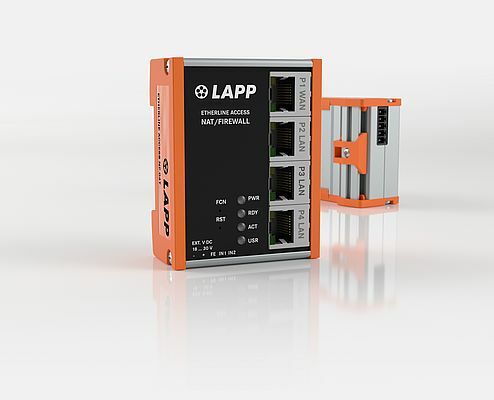 LAPP introduced an Etherline Access series of switches. Some switches are designed for Profinet networks. Made for industrial data communications as industrial Ethernet (managed and unmanaged), they have 4 (PNF04T), 8 (PNF08T) or 16 ports (PNF16T). Compliant to Profinet Conformance Class B requirements, the switch can notify whether the telegram is an enquiry from the Web, an FTP file transfer, a media stream or a Profinet telegram. It can also prioritize the most important Profinet telegrams and prevent any telegrams delays if the transfer load is high. They deliver a short reconfiguration time and are fully equipped with cutting-edge diagnostic and redundancy features.